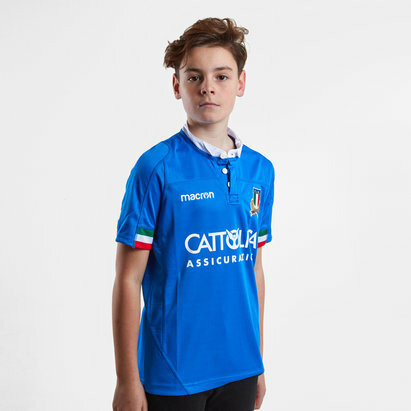 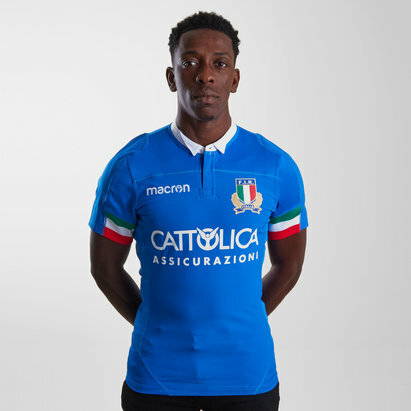 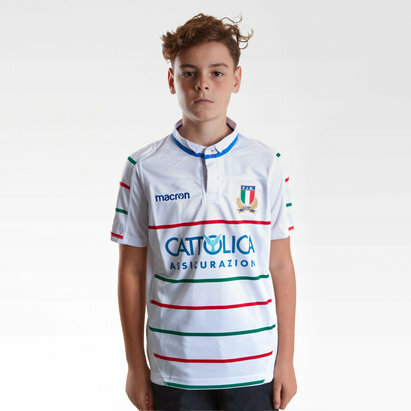 Show your pride for the Azzurri whether you're dressing casually, out and about on the road or ready for action at Stadio Olimpico in this 18/19 Italy Home S/S Replica Rugby Shirt from Macron. 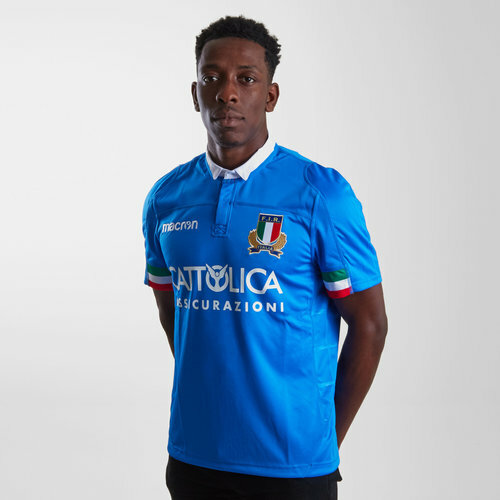 This shirt is blue with a white collar. 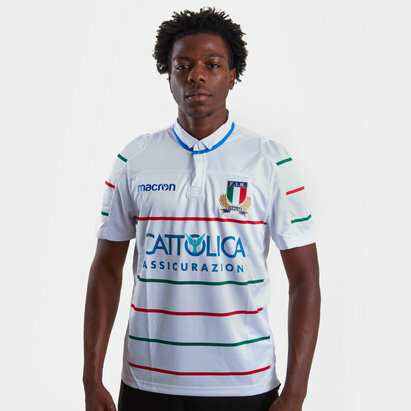 This shirt also uses has the Italian flags colours on each sleeve cuff. 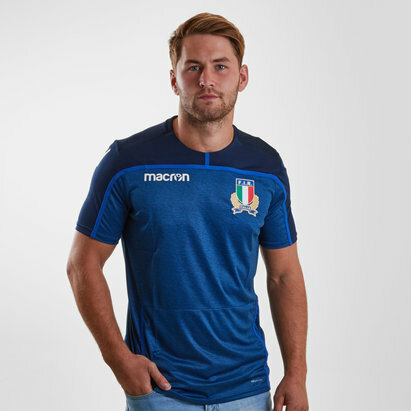 The Italian logo is on the left whilst the Macron logo is on the right in blue. 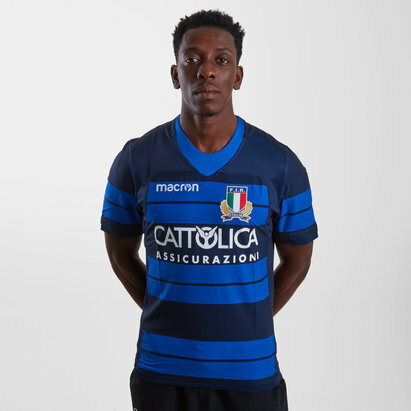 the team's sponsor - Italian insurance company, Cattolica Assicurazioni - is across the chest.